Found 15 file extension associations related to Apple Mail and 11 file formats developed specifically for use with Apple Mail. 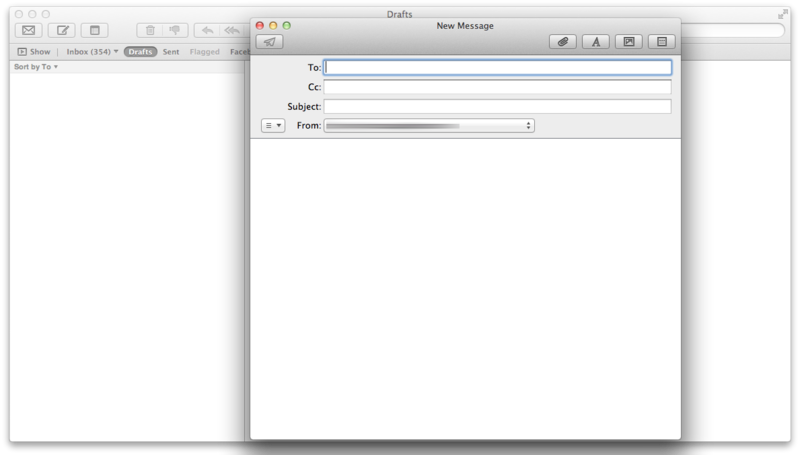 Mac OS X transforms email into personalized stationery. Notes you can access anywhere. To-dos that change as your errands do. For everything you do with email — and some things you haven’t thought of yet — there’s Mail. Mail features more than 30 professionally designed stationery templates that make a virtual keepsake out of every email you send. From invitations to birthday greetings, stationery templates feature coordinated layouts, fonts, colors, and drag-and-drop photo placement from your iPhoto library — everything to help you get your point across. You can even create personalized templates. Messages created with stationery in Mail use standard HTML that can be read by popular webmail services and email programs on both Mac computers and PCs. Ever email yourself a reminder that gets lost in your inbox? Mail lets you write handy notes you can access from anywhere. Brainstorm ideas, jot down meeting notes, scribble a phone number — notes can include graphics, colored text, and attachments. Group notes into folders or create Smart Mailboxes that group them for you. Since your notes folder acts like an email mailbox, you can retrieve notes from any Mac or PC using an IMAP mail service like .Mac or AOL. Forget manually adding a new item to your to-do list every time an email hits your inbox. Simply highlight text in an email, then click the To Do button to create a to-do from a message. Include a due date, set an alarm, or assign priorities. Every to-do includes a link to the original email or note, and to-dos automatically appear in iCal, complete with any changes you make. And since to-dos are stored with your email (when using an IMAP mail service), you can access them from Mail on any Mac. With smarter relevance ranking in Spotlight, you’ll find the right email at the top of the search results list. Everything you create in Mail — to-dos, notes, and, of course, email messages — appears in a Spotlight search of your system. Subscribe to an RSS feed in Mail and you’ll know the moment an article or blog post hits the wire. Even better, you can choose to have new articles appear in your inbox alongside your latest email messages. Sorting your news is easy, too. Use Smart Mailboxes to organize incoming news articles according to search terms that pique your interest. Mail shares its unread RSS feed count with Safari, so your reading list always stays in sync. Say you get an email invitation to dinner. What if Mail recognized the address of the restaurant and let you map directions on the web? Or let you click once to add the date to your iCal calendar? Mail even recognizes relative dates (“let’s meet next Tuesday”) and keywords (“dinner tomorrow”), so you can act on information rather than enter it. Now you can set up a new Mail account in one easy step. Just enter your current email address and password and let Mail do the rest. Mail works with the most popular email providers, like Gmail, Yahoo! Mail, and AOL Mail, automatically configuring those cryptic server settings for you. If you need more information please contact the developers of Apple Mail (Apple, Inc.), or check out their product website.